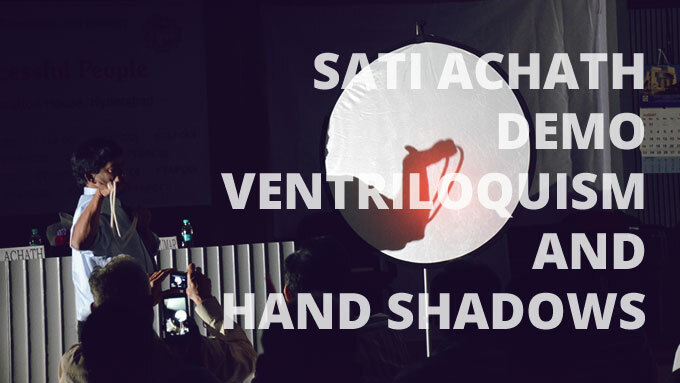 Sati is an outstanding Hand Shadow Master who can create more than 100 incredible hand shadow images, including personalities and animals just with his bare hands! No wonder, David Letterman called Sati “the Master of Hand Shadows”. 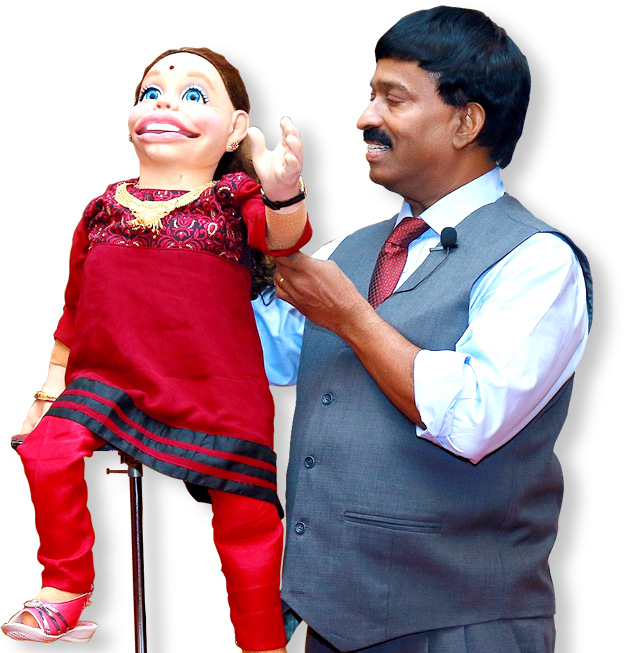 The Washington Post described Sati as “one of the few people in the world who can conjure up celebrities ranging from Michael Jackson to Mother Teresa with nothing more than his hands and a light”. 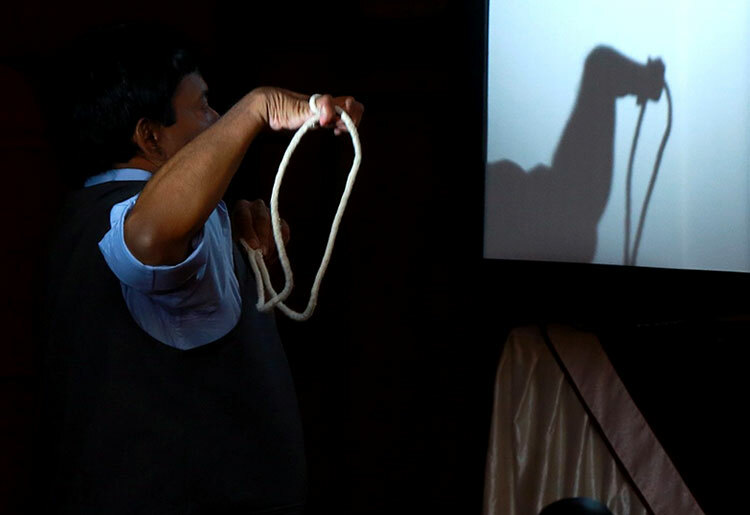 According to The Baltimore Sun, Sati “just may be the best-known hand shadow expert in the world. He may, in fact, be the only hand shadow expert in the world”. Sati is the author of the book, Fun with Hand Shadows, a step-by-step book explaining how to create hand shadow images of birds, animals, and celebrities. 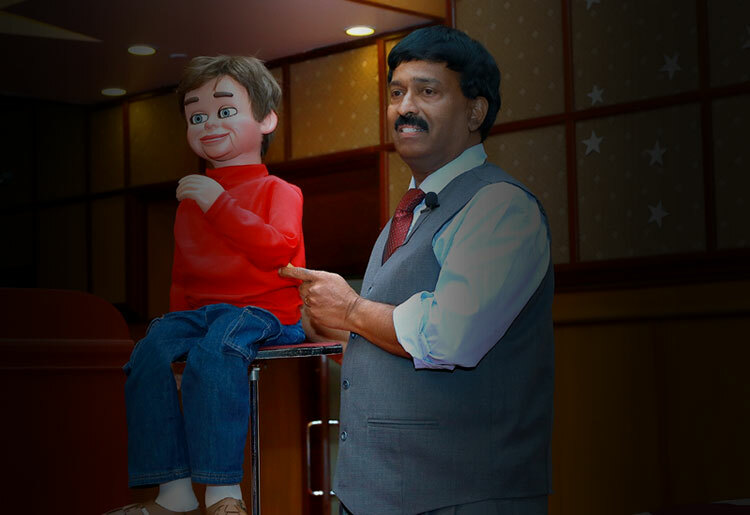 Sati Achath is an accomplished ventriloquist and extraordinary hand shadows master. He is also an author, cartoonist, caricaturist, musician, and magician. Sati has been recognized by the U.S. Government as a ‘Person of Extraordinary Ability’. He is the author of seven books. Sati currently works as a Project Evaluation Specialist for the World Bank in Washington, D.C. Prior to that, he was with the Indian Revenue Service (IRS). He holds four master’s degrees and speaks six languages. So far Sati has traveled to 70 countries. This international experience has given him a broad vision and perspective on life.